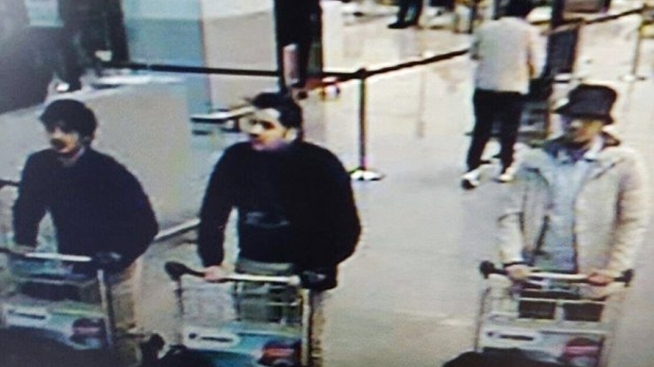 The three men considered suspects by Belgian authorities are seen in footage from a security camera. Investigators carrying out raids after Tuesday's terrorist attacks in Brussels believe they've found a bomb-making factory complete with chemicals used in explosives, nails and bolts, NBC News reported. Authorities are still hunting for one of three suspects caught on surveillance video as they pushed luggage carts through the airport. They believe he fled the gruesome, chaotic scene. 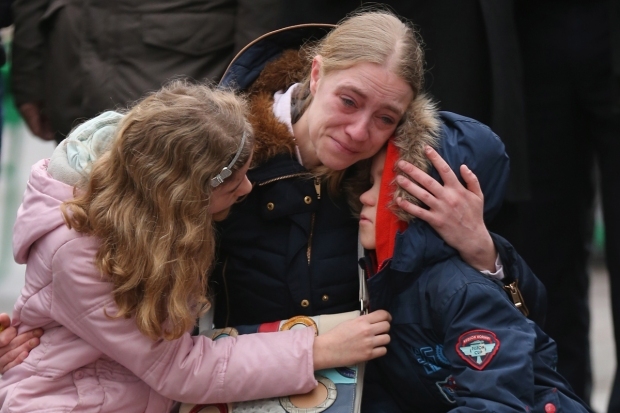 "I can understand that people are scared," Belgian Interior Minister Jan Jambon told NBC News as he visited a makeshift memorial. "But I can say that our services are now in a high state of alert and are working day and night to arrest these guys." ISIS claimed responsibility for the morning bombings at the airport and the subway, which killed at least 31 people. U.S. counter-terrorism officials said the claim appeared genuine — and Belgian officials said an ISIS flag was found along with bomb materials in one raid. During a press conference after the attacks, the Belgian Prime Minister Charles Michel spoke about unity in the face of terror.